Differentiate your value on merit. Access new client opportunities that not only have an active need to sell but who already trust and acknowledge your individual expertise. We fundamentally believe in the value agents provide to the sales transaction. Our data-driven platform is centered around creating a level of trust and transparency for the industry, and provides more business opportunities to quality agents by differentiating their value, and removing the focus around fee. We designed HeyAgents.com.au to integrate seamlessly into your busy schedule. It takes just 3 minutes to respond to new opportunities and can be done anytime, anywhere. 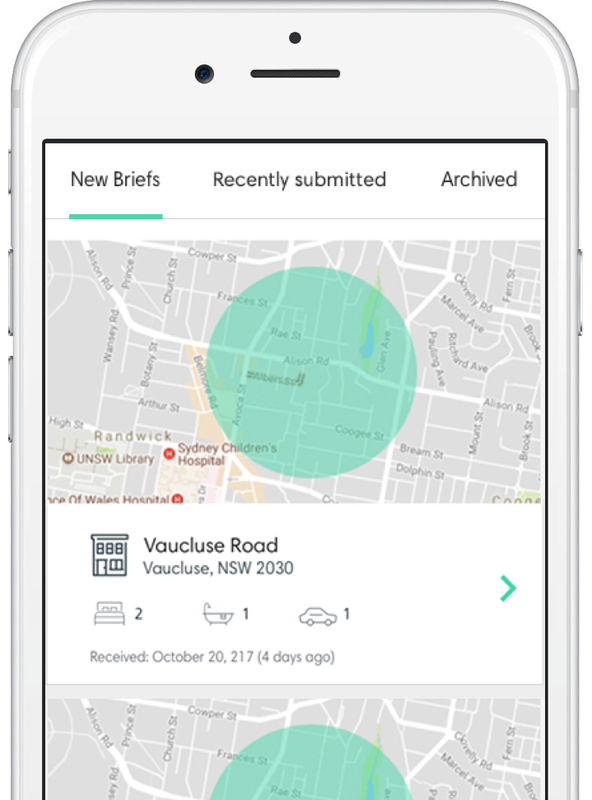 New briefs come in hourly and are visible on your dashboard instantly. We will notify you as soon as a new brief from one of your core-suburbs is posted. Write a small intro, answer questions the seller has asked, and your done. Your profile and the statistics it displays does the heavy lifting for you. This is what its all about, more opportunity to do what you do best. We recommend that sellers meet agents for a traditional listing presentation. Hey Agents was designed to provide a service to the ever-growing market of property owners searching online for help selecting the right agent. We help owners identify which agents specialise in their area and are most active for properties just like theirs. Using a combination of market-leading data and client reviews, our aim is to help you differentiate your value based on merit.